Patients are being harmed by the crackdown on opioid pain medication and increasingly “burdensome” requirements for prior authorization, according to the president of the American Medical Association. “The pendulum swung too far when pain was designated a vital sign, and now we are in danger of it swinging back so far that patients are being harmed. 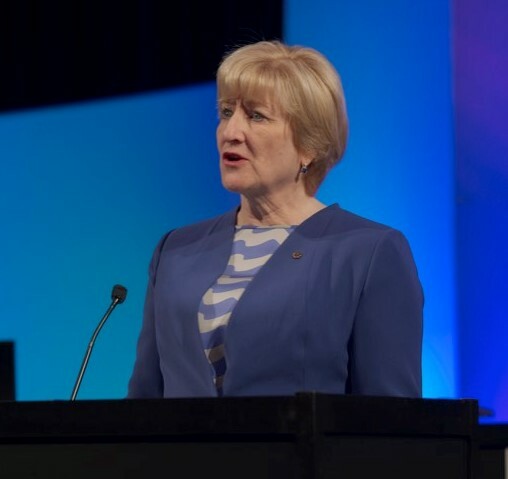 We need to use our expertise in patient care to change the dialogue to appropriate pain control,” said Barbara McAneny, MD, at a weekend meeting of the AMA. McAneny, who is a practicing oncologist in Gallup, New Mexico, shared the story of a patient with advanced prostate cancer who was in severe pain. When the patient tried to get his prescription filled, the pharmacist called the insurer for prior authorization and was denied. The pharmacist also checked the prescription drug monitoring program (PDMP) and found that the patient had multiple prescriptions written by McAneny and other doctors. “The pharmacist suspected my patient was a drug seeker and did not alert me that his prescription was denied. My patient, a very proud man, felt shamed and didn’t know what to do. So, he went home to be as tough as he felt he could be. That worked for about three days and then he tried to kill himself,” said McAneny. Ironically, the insurer paid for the patient’s ambulance and hospital bills without any prior authorization. And the CDC’s “voluntary” opioid guidelines — which have been widely adopted by insurers — don’t even apply to cancer patients. “Like you, I share the nation’s concern that more than 100 people a day die of an overdose. But my patient nearly died of an under-dose. This story illustrates the problems we all confront every day in our current dysfunctional health care system,” McAneny said. “The health plan does not have the chart, doesn’t know the patient, and basically countermanded my orders without even telling me using the prior authorization process. How have we let health plans determine the course of care? They call this quality? McAneny cited a 2017 AMA survey, which found over 90% of doctors believed prior authorization led to delays in treatment and had a negative impact on patient outcomes. Nearly a third of doctors had to wait at least 3 business days for a prior authorization decision to be made.